I bought mine from a record store too, how is this a bootleg? By itself, the sound quality is fantastic and cleans up the equalization of the original pressing, resulting in clearer separation, chunky textures and fiery distortion; giving it all a very organic, vibrant and otherworldly feeling. Turned up, the distortion positively sears through the air, and the low-end is deep. Although it may not "feel" as volatile and murky as the original master, this is probably the most faithfully updated remaster of this classic, always-talked-about-in-some-way album. A very dynamic pressing with an extended-ending version of "I Only Said". Superficially, packaging feels a tad too polished, and good luck trying to get the sleeved record back in the gatefold, JEZUZ can it be any tighter? Would be great to get a repress with worldwide distribution. Any more on that rumor of a half-speed mastered 45 RPM 2LP? 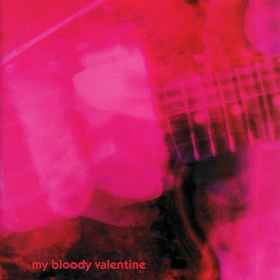 For anyone that dont get one copy i suggest you to go in "My bloody valentine" official page and ask nicely from the band one repress version of the album like i did! It's "funny" how common and cheap this version is, yet it currently has - Have: 28 / Want: 226 - and some being sold under this listing are sealed (one cannot know the version w/o opening it up). Damn it seems like the 2018 remaster sold like hotcakes on both Discogs and the MBV website. I'm glad I bought mine, it really does sound great, I just wish I could've bought an extra one for archive purposes. I bought it in Amazon, how it comes this is unofficial? Both Loveless and Isn't Anything are now absent from the MBV store. Hmm. Quite simply the best album ever written by anyone ever beautifully pressed onto, what is currently, reasonably priced wax.